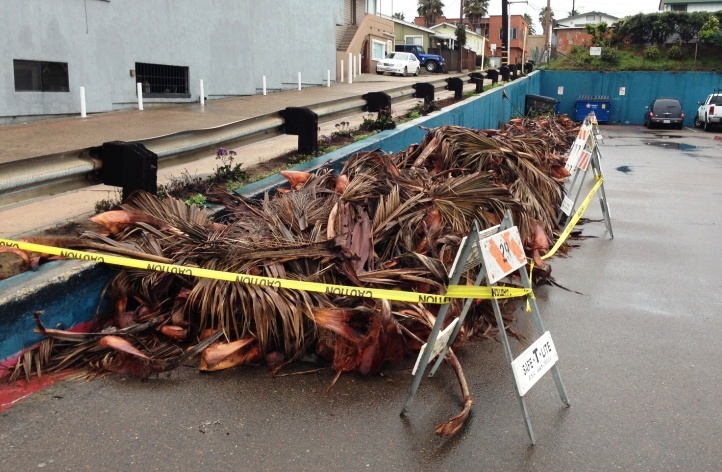 Ocean Beach is digging out of palm fronds up to our ankles after the weekend’s big storm. 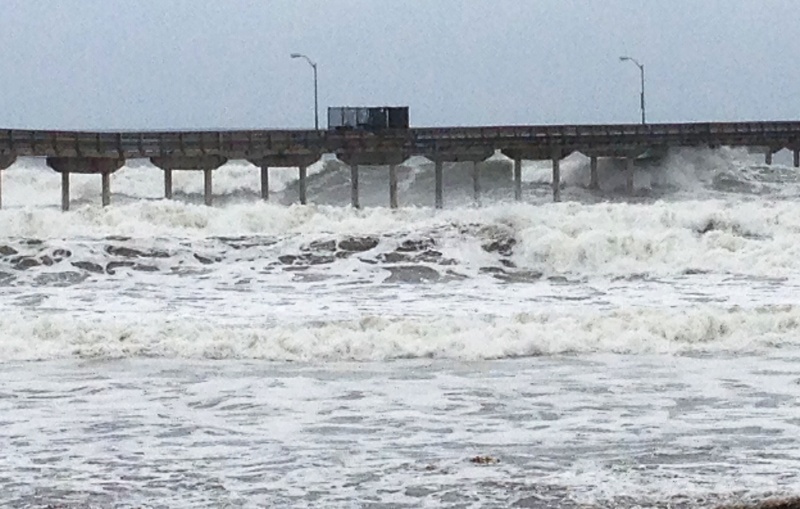 The Pier was closed Saturday morning and there’s no time table for reopening it after waves crashed over it throughout the weekend. Things got a bit dicey during the weekend’s biggest rain and winds, but could have been worse. 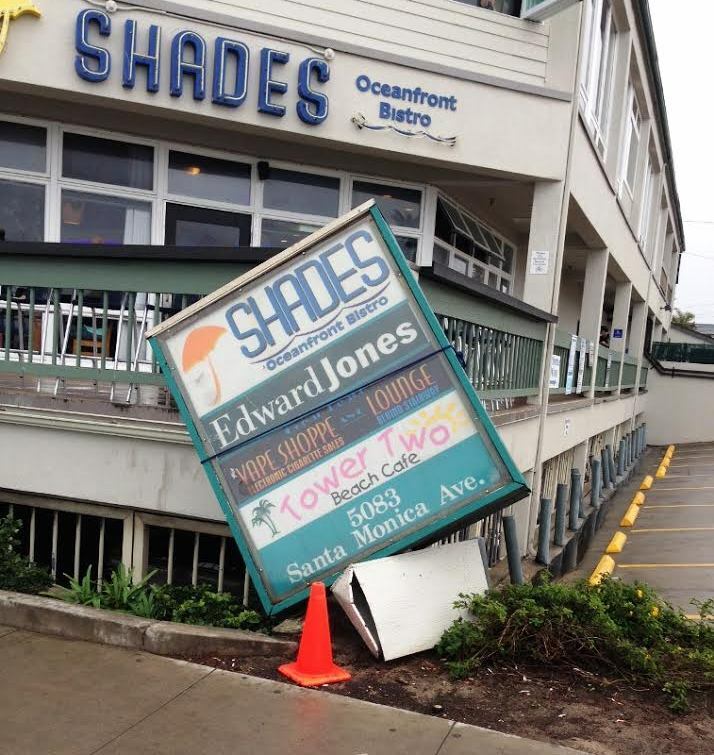 Most businesses stayed open as usual, despite most places on Newport putting out sandbags. 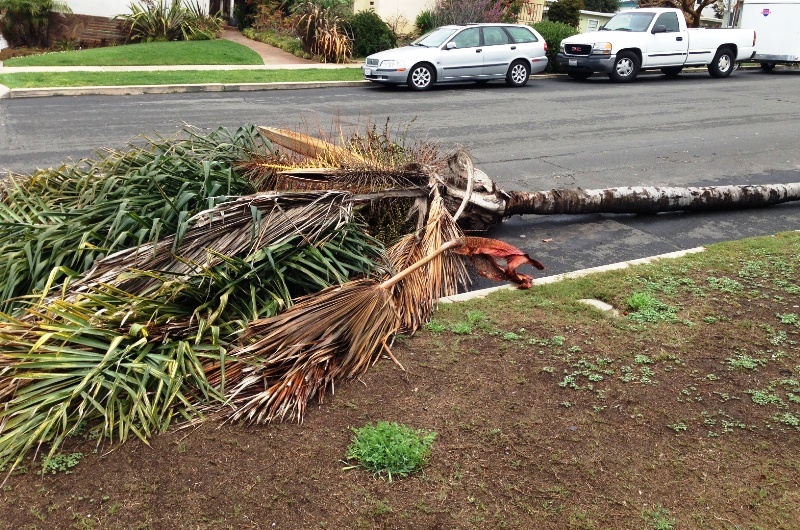 Downed palm tree on upper Newport Ave. 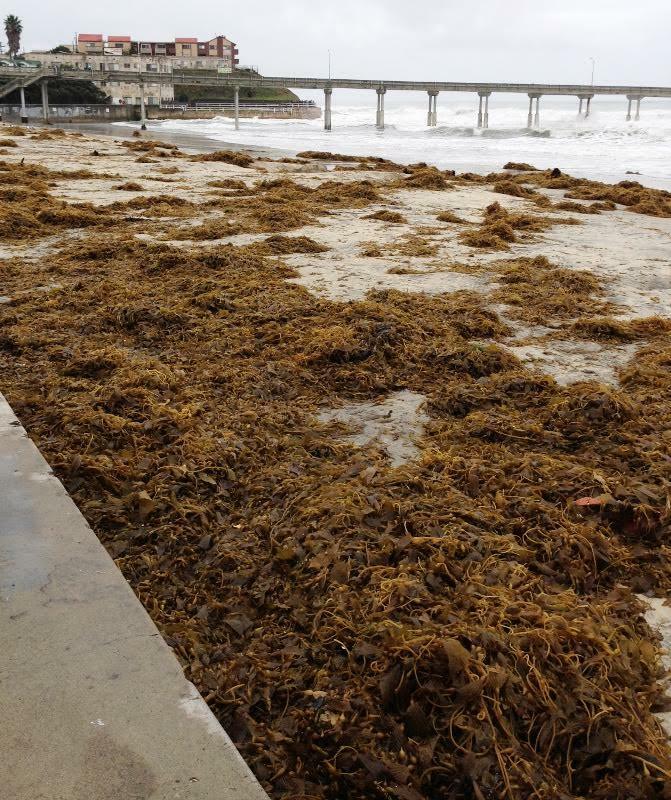 The only place that was really closed was the OB Pier, which was off limits for much of the weekend – and with good reason, as waves continually crashed over the pier’s walls. Palm fronds collected at the OB Pier parking lot. The storm had a cleansing effect on the neighborhood, especially with the palm trees. Palm fronds lined the sidewalks and nearly every street had a pile of them. Sunset Cliffs was a virtual mine field of palm droppings. One store that was closed for the weekend was – ironically – the women’s store Raindrops, on the corner of Abbott and Santa Monica. The store was dark all day Friday and through the weekend, with sandbags lining the front door. 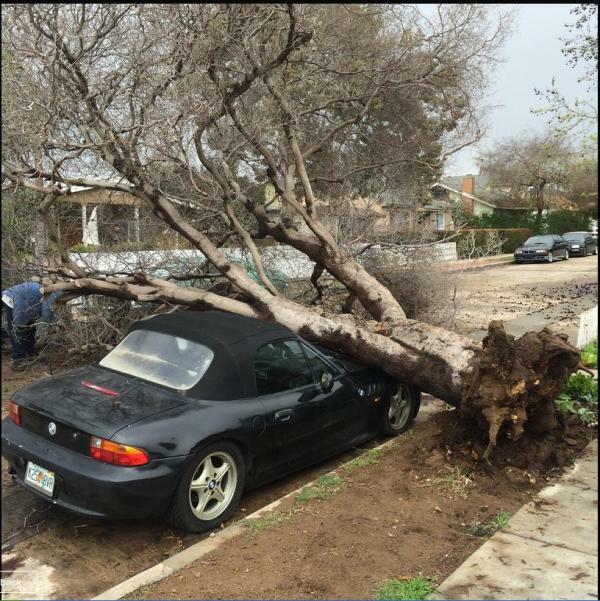 Reader Ruby White sent us a photo of a tree falling on a car on Lotus Street. We also found a downed tree on Newport, just up the hill. Any other damage? Let us know in the comments. There is another palm down on the 4800 block of Muir. That is my palm tree pictured on the 4600 block of Newport. It completely snapped off at the top and just missed falling on my sister’s car. Two kind gentlemen stopped and towed it up the street a bit out of the way of traffic. I am so sad that it is gone and I don’t know what to do. I am also worried about my other palm tree now since it is also top heavy from all of the palm berries it holds. Especially seniors or those without insurance. Don’t ignore wet carpet or walls. My goal is to prevent mold. I have 30 years experience. Older Article: What’s Left: Surrender or Resurgence?